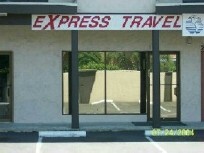 Established in 1992, Express Travel is a retail travel agency located in Santa Clara, California USA. We provide various travel products & services to destinations worldwide. Our specialty is providing travel products & services to destinations throughout Southeastern Europe (i.e., Croatia, Bosnia, etc.). Going somewhere?...give us a try!